Another video from the Legendary Trumpet Masters session in Bern. 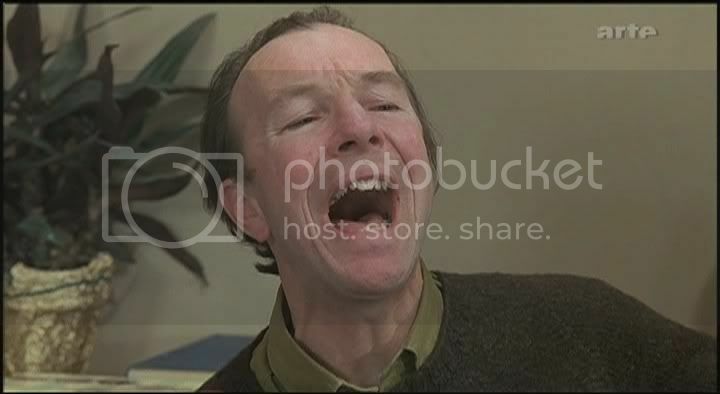 Here, as a special tribute to Doc Ceatham, he has been given space for a solo on Drop Me Off In Harlem. For accompanists, Hank Jones is on piano, Jesper Lundgaard on bass and Clarence Penn on drums. 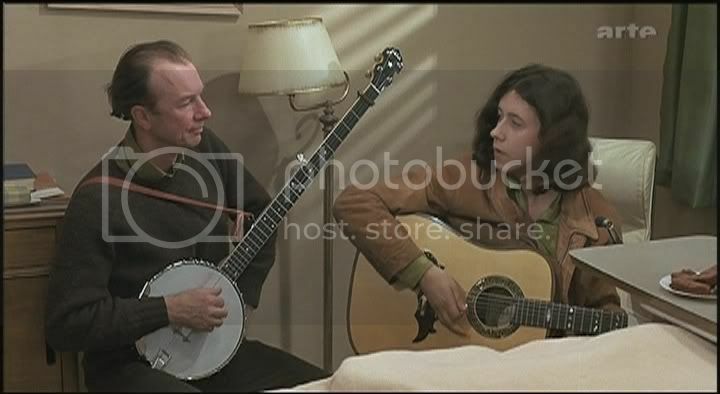 Friend (Pete Seeger) and son (Arlo Guthrie), by the deathbed of Woody Guthrie, singing the last song. Taken from Alice's Restaurant (1969). 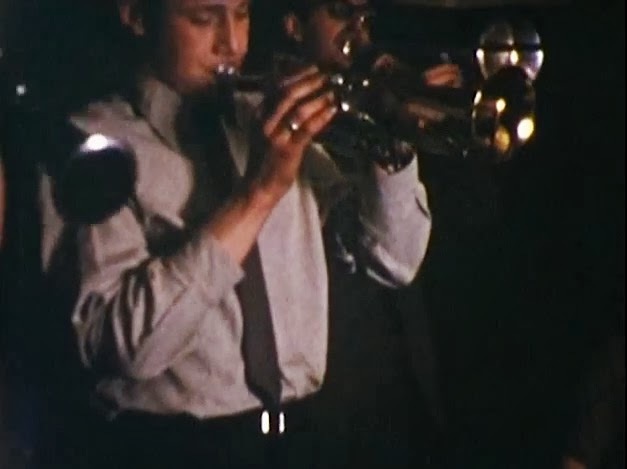 On the occasion of what would have been Joe Albany's 90th birthday, watch the documentary Joe Albany...a Jazz Life, directed by Carole Langer. The great Rock 'n' Roll photographer Elliott Landy is putting together a book of his massive collection of The Band photos, many of which have not seen by anyone except the photographer himself. In order to raise the money for publication of the book, he has started a Kickstarter campaign here. I'm glad to say that the project has already raised twice as much the amount of the pledge. However, if you still want to be part of it, the deadline is January 28, 2014. I'm planning to attend Berlinale for the first time and probably because of that one would find me in an essentially German mood. Now, thanks to the Berlin based jazz label Sonorama that feeling is delightfully doubled as they sent me a batch of records that document some of the most remarkable European Jazz of the 50s and 60s. 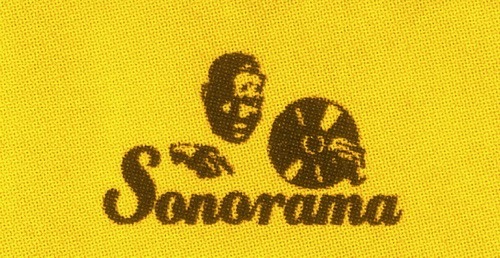 The first time I encountered a Sonorama release was when I discovered a fascinating recording of The European Jazz All Stars 1961, a meeting between top European jazz musicians during the Cold War which was presented by the Norman Granz of German jazz, Joachim-Ernst Berendt. 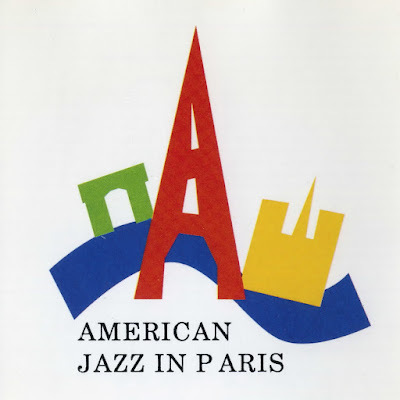 The line-up on this rare reissue is composed of no less than 13 musicians from 12 countries who, according to Berendt, couldn't speak in the same language but jazz. However, if you're expecting one of those off-the-cuff blowing sessions, I must say you are on the wrong track, as all the pieces in the repertoire are fully arranged by the Belgian Francy Boland. The fiercely swinging guitar-violin format which became hugely popular by Hot Club de France and its key members Django Reinhardt and Stéphane Grappelli was the subject to many imitations and replica bands with various degrees of success. However, throughout the years some original voices arrived who were using the same framework but also were adding a lot of their own. 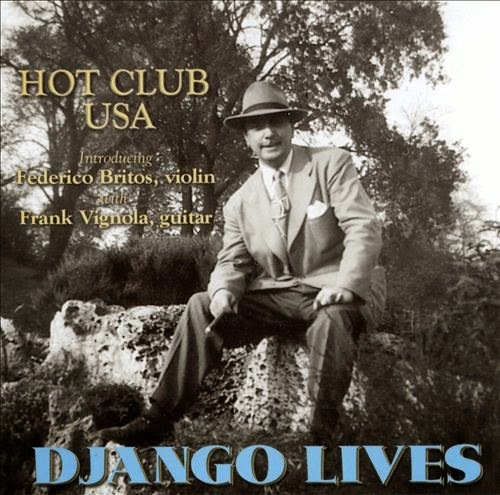 That was the case with the homage band, Hot Club USA whose Django was guitarist extraordinaire Frank Vignola and whose Grappelli, the Uruguayan Federico Britos. 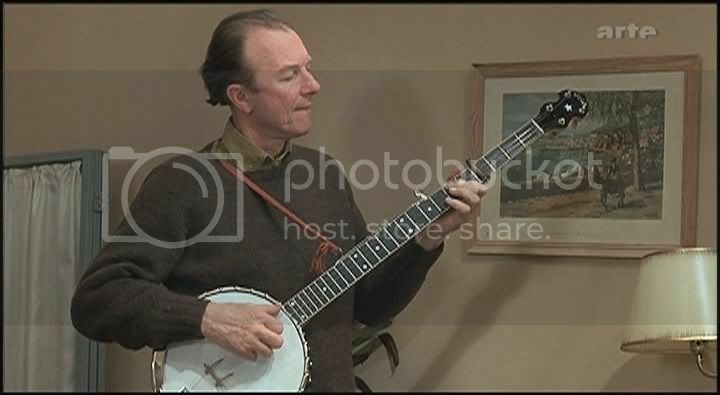 The Hot Club USA's first and best known recording [picture above] featured many classics of Reinhardt-Grappelli team, as well as some original compositions by Britos. 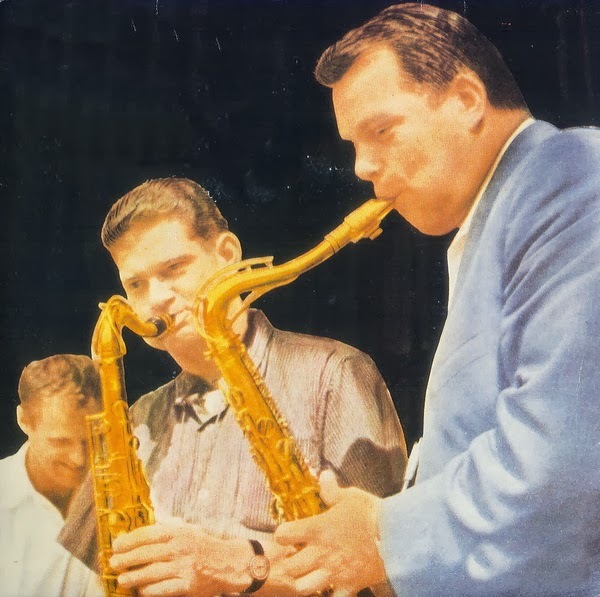 "Vignola is a furious demon of strummed chords," wrote one reviewer of the album, while commenting on the combination of these two talents as "quite attractive." The Swiss Jazz School is the first independent jazz school in Europe which was founded in 1967. In this video from 1997 the school's big band enjoys a 30th anniversary concert at the local Bern Jazz Festival. 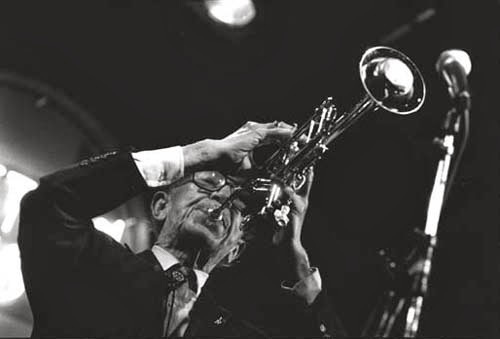 The first solo, on trumpet, is beautifully played by the American trumpeter Bobby Shew. The second soloist is the Swiss George Robert on alto saxophone. I don't know the name of the rest of the musicians in the band. Any Swiss jazz expert out there to give us some names? From September 6, 1968, at Cafe Montmartre in Copenhagen, Denmark, Sonny Rollins Quartet performs Coltrane's composition, Naima. 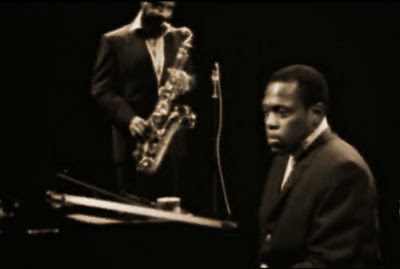 Kenny Drew (pic above) plays piano, Niels-Henning Ørsted Pedersen is on bass and finally Albert Heath occupies the drum chair.